Ahhh terrazzo! Have you ever been mesmerized by walking on an intricately and exquisitely designed terrazzo floor in a posh hotel lobby or a swanky department store or even a business office front atrium. A beautifully designed terrazzo installation can leave one breathless with this experience. Nowadays large shopping centers, restaurants, hotels, homes and other structures use terrazzo to create one-of-a- kind and imaginative designs that bespeak of their own distinct branding. Terrazzo uses have come a long way since its early beginnings as a crude flooring material in old Venice. Now it is extensively used as pre cast elements with useful applications which include Stairs, Steps and Risers, Skirting, Wall Panels, Benchtops for kitchens and other work areas, Covings, Bathrooms and Lavatories, Shower Partitions, Columns and Engineered Stone Partitions and in more recent times as Public Furniture in parks and walkways. For everyone to understand, terrazzo here is used to describe both the material that is in the mix and the method that it is manufactured. So we talk about the terrazzo mixture used and the finish of the terrazzo itself. Cementitious terrazzo is also the traditional terrazzo that most people know. This type of terrazzo is heavy and requires a thick cement subflooring or foundation to start with. This terrazzo is ideal for both indoors and outdoors, especially in areas where there is heavy foot traffic. Polyacrylate terrazzo is a type of terrazzo that uses a combination of cement and latex which helps in strengthening the mixture whereby allowing a much thinner spread which “cures” much quicker than cementitious terrazzo. This type of terrazzo flooring is actually the most desired for use in homes which already have existing level floors. It also offers more design flexibility compared to traditional terrazzo and often include post-consumer glass in the mixture. Minor upkeep to say the least! Like eating delicious Aussie meat pie! Terrazzo is so easy to maintain and clean all you literally need is a mop or a cloth rag and a good cleaning solution to do the job and presto you’re done! With the widest range of beautiful and durable and long lasting terrazzo products available around that can be manufactured such as Tiles, In situ, Pavers, Precast such as Steps and Risers, Skirting, Wall Panels, Coving, Kitchen and Work Area Benchtops, Columns and Public Furniture, Engineered Stone Partitions and Terrazzo Partitions for Toilet and Shower, Vanity Tops and Urinal Screens, certainly a fast and easy and inexpensive way to clean and maintain terrazzo is a most welcome development any way one looks at it. Why use terrazzo floors and pre casts? It’s no secret that many architects, developers and interior designers use and specify terrazzo because it is one of the most versatile, beautiful and strongest building materials available in the construction industry. Terrazzo floors are close to being almost impenetrable and proven durable through the years. With proper care and the correct maintenance methods one is confident that it will stand the test of time. 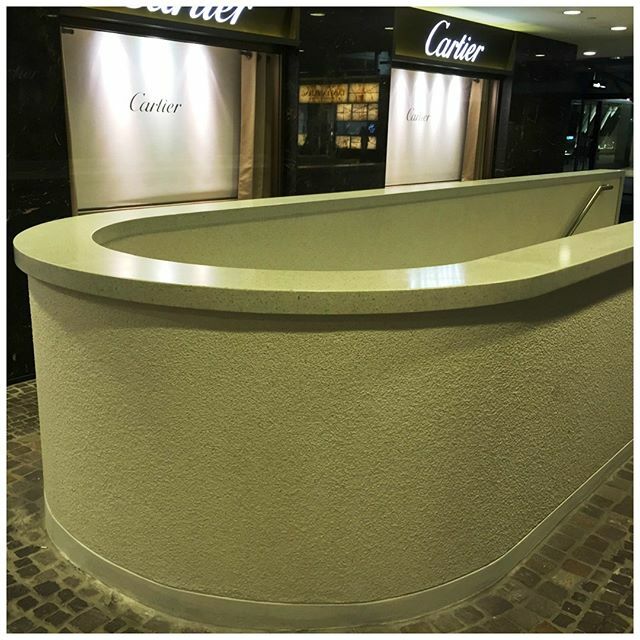 Now, with regards to the now very popular terrazzo pre cast materials, it will definitely provide you with a wide assortment of applications and create design combinations that will make realizing your projects easier, faster and more enjoyable. You literally step on this attractive floor material almost every day when you go to shopping malls, enter a posh hotel lobby or a swanky restaurant, a modern office lobby, busy airport or railway station. But, do you ever notice its intricate design or beautiful finish? Most probably not, right! That’s because you have become so accustomed to it! Today terrazzo is an inescapable indispensable building material in architectural construction and interior design planning. It is well known and established that terrazzo is an innovative builder’s dream come true construction material because of its beauty, durability and permanence. The design possibilities it offers are also virtually limitless. Terrazzo tiles are long-lasting, versatile and design and colour flexible. But do you know that terrazzo is more than just a great flooring material, sure it brings life and colour to the many building structures and numerous places that it is installed in! 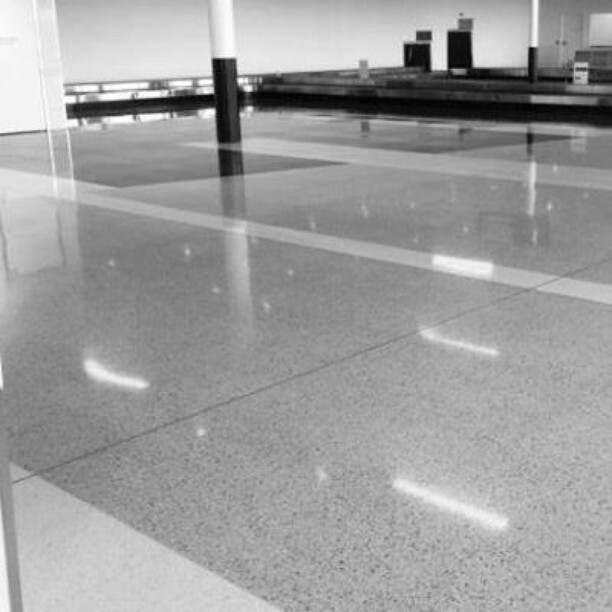 By the way, terrazzo tiles and In situ terrazzo are the traditional finish often used by clients who are having commercial spaces constructed since it stands up to high foot traffic areas really well and with its honed anti slip finish, it is proven safe to walk on even during wet conditions. Most builders and interior designers choose terrazzo for a true and seamless finish or for flooring that need to incorporate logos, artworks or complex designs. Terrazzo floors can match the aesthetics and design of the place it is usually installed in, it can become the centerpiece or it can complement the structure as a whole. By the way every terrazzo floor is a unique work of art by gifted artisans and craftsmen! This is true because no two terrazzo floors are exactly alike! That is the exclusivity and uniqueness of this wonderful centuries old flooring material! 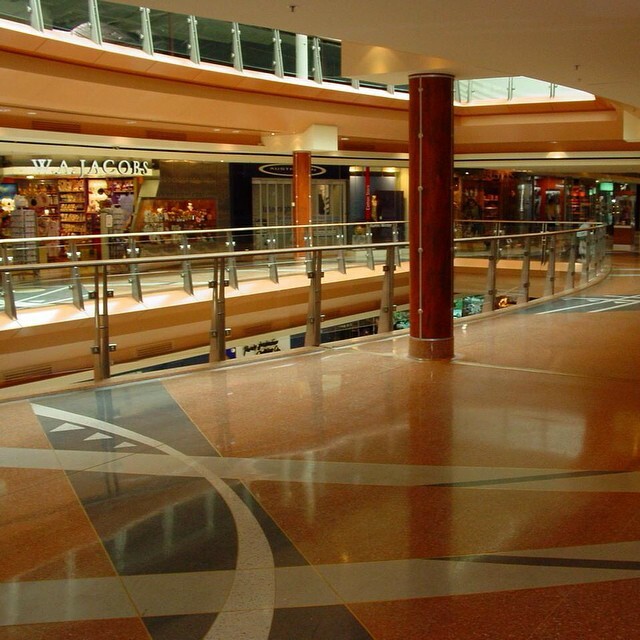 Terrazzo Tiles: Tough as can be for high foot traffic areas! When you need the added permanence that is at the same time easy to clean and come with years of trouble free maintenance, Terrazzo Tiles is the perfect choice. For extremely high foot traffic areas such as shopping centres and other commercial establishments and flooring on some of the most demanding environments such as railway stations, airports, hospitals and laboratory areas, there is the predicted need to keep up with the heavy wear and tear brought about by the very high volume of foot and baggage and or hospital equipment and medicine supply cart traffic. Terrazzo tiles offer ease of installation and years of trouble free maintenance. The terrazzo tiles are laid, grouted and machine polished on site. This special process produces a seamless floor with the grout at level with the tile enabling easy daily maintenance. In addition to this, new advanced processes have allowed this tile finish to achieve a non-slip texture for added safety.